Your home is the center of your world. So when something breaks down, your life suffers. 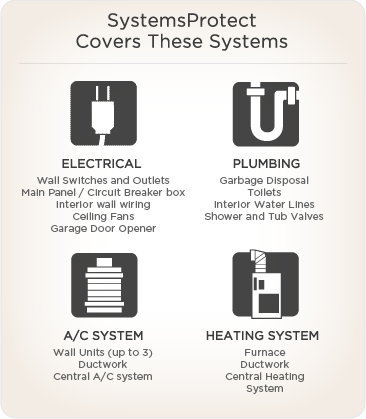 With a SystemsProtect home service plan, you won’t have to worry about vital home system breakdowns disrupting your schedule — or costing you thousands in repair or replacement costs. Our unique home service plan ensures your protection when something goes wrong. Whether it’s a minor issue or serious malfunction, we’ll fix it while you go back to living your life. What can SystemsProtect do for me? 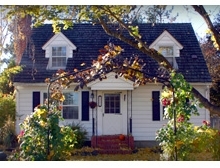 Expert repairs by experienced and certified technicians with a 180-day workmanship guarantee. Telephone assistance 24 hours a day. Get deep discounts on purchases of new brand-name appliances. *See terms, conditions, and limitations in your Service Agreement. Covered systems must be in good working order at time of activation. Deductible is due at time of service call. Non-covered charges may apply to certain repairs or replacements.